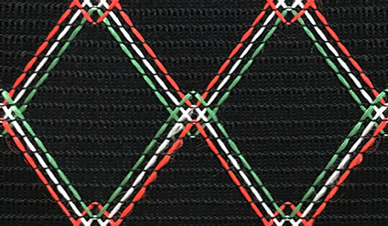 Rose Morris was the first owner of the Vox brand that did not have any amplifier manufacturing facilities. After Rose Morris purchased Vox from Dallas Industries in 1978, amp production remained at the Dallas plant in Shoeburyness, Essex UK through 1984. This Dallas manufacturing plant also produced the Vox amps sold by Dallas Industries from 1973 through 1978. As the former distributor of Marshall amplifiers, Rose Morris had grown accustomed to products built to a high standard of quality and packaged in rugged export cartons. This was not the case for the Vox amps coming out of the Dallas facility in Shoeburyness. Many new Vox amps failed to work out of the box. Flimsy packaging caused many amps to be damaged in shipment. These and many other issues caused the relationship between Rose Morris and Dallas to deteriorate. By 1983 Rose Morris was looking for a new contract manufacturer to build the AC-30. 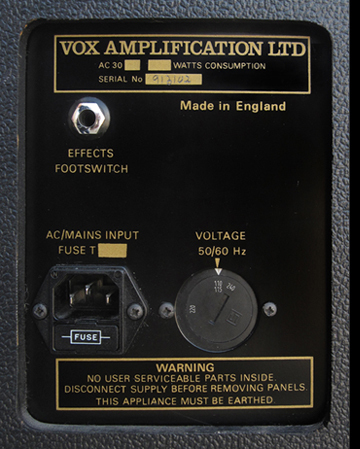 Vox next turned to a company called Audio Factors to build the AC-30. Audio Factors was also located in the UK, near Leeds. The Audio Factors Vox AC-30 retained the traditional "Contempo" chassis design that traced back to the 1960 origin of the amp. All tube sockets were mounted to the chassis base. The preamp circuitry was incorporated onto a large vertical PC board. 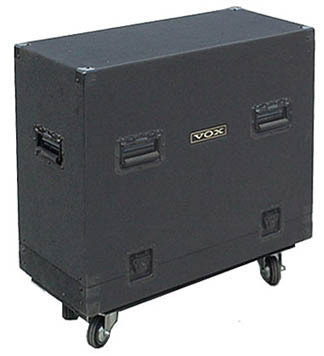 In addition to the AC-30, Audio Factors also built the Venue Series of solid state amps that Vox offered from 1984 through 1988. It wasn't long before the quality of the AC-30 amps produced by Audio Factors started to decline. 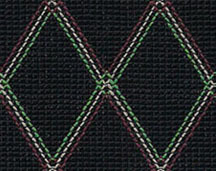 As a result, Rose Morris shifted AC-30 production in 1988 from Audio Factors to Precision Electronics, a UK electronics manufacturer located in Wellingborough. In addition to the AC-30TBR- Model 1007 shown on this page, Precision Electronics also produced the solid state "Q Series" amps for Vox. Rose Morris was so pleased with Precision Electronics that they purchased an interest in the company in 1989 and renamed it Vox Amplification, Ltd.
Several years after the AC30-TBR - Model 1007 was introduced, Vox Amplification Ltd produced one thousand AC-30 "Limited Edition" amplifiers in 1990. They followed on the success of the AC-30 "Limited Edition" by offering the AC-30 "Vintage" line up from 1991 through 1993. The AC-30 "Vintage" was available as a 2x12 combo amp with or without reverb or as a separate 30 watt head with a matching 4x12 speaker cabinets. A "Collector" AC-30 combo amp with a solid mahogany cabinet and the "Vintage" chassis was also offered. When designing the new AC-30TBR - Model 1007 for Vox, Precision Electronics strived to produce an amp that was easy and efficient to construct while retaining the original JMI AC-30 audio circuitry. Using modern electronic construction techniques, Precision developed a single circuit board that incorporated just about everything needed to construct an AC-30, including all of the tube sockets, controls, and input jacks. This board eliminated the need for many interconnecting wires. The circuit board was secured inside a rectangular steel chassis by the controls and several threaded stand offs. 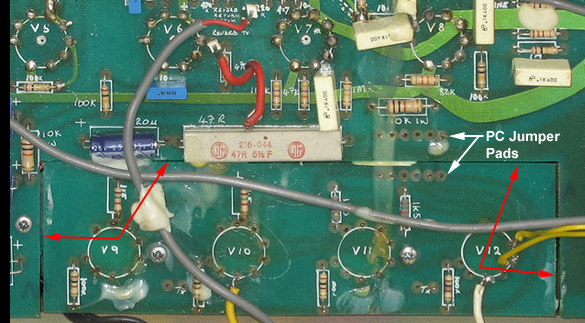 The portion of the circuit board that included the four EL84 output tubes was designed to be detached from the main circuit board upon assembly (see red arrows in Figure 1). Small jumper leads connected this power amp mini board to the main circuit board (see Figure 2). Separating the power amp circuit from the main board allowed it to be detached for service without disturbing the main board. This was important as the solder joints on the power tube sockets were prone to mechanical failure from heat and the pressure of tube installation. Separating the power amp board also provided some isolation from heat transfer to the main circuit board. Photo Courtesy John Chambers, Champ Electronics, Nottingham England. 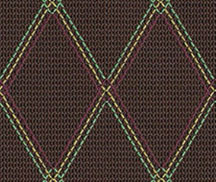 Vox assigned an "Issue" number to the large integrated circuit boards in their AC-30 amps from 1989 through 1993. The issue number was imprinted in the lower left corner of the board. "Issue 1" circuit boards (see Figure 3) were installed in the early production of Vox AC-30 "Vintage" combo amps and heads in 1991. This printed circuit board utilized the ill-fated PC mount reverb drive transformer that was subject to frequent failure. "Issue 2" circuit boards (see Figure 4) were installed in the later production of Vox AC-30 "Vintage" combo amps and heads from 1991 through 1993. The location of the main (smoothing) filter caps was changed on the Issue 2 board. Issue 2 circuit boards also utilized the ill-fated PC mount reverb drive transformer that was subject to frequent failure. "Issue 3" circuit boards (see Figure 5) were installed in the AC-30TBR - Model 1007 and the "Limited Edition" 30th Anniversary AC-30 amplifiers. Unlike amps utilizing the Issue 1 or Issue 2 circuit boards, the Issue 3 board required a chassis mounted reverb transformer that was not subject to failure. They also featured the breakaway power amp mini board shown in Figures 1 and 2 above. The tube layout for the AC30TBR - Model 1007 is shown in the open chassis picture at the top of this page. Here is the function of each tube. The Vox AC-30TBR- Model 1007 amplifier abandoned the two piece traditional "Contempo" style chassis and slider board system from the original JMI design, replacing it with a rectangular anodized steel pan that filled the full inside width of the cabinet. 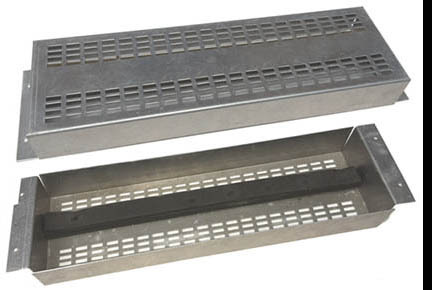 Threaded metal standoffs secured the printed circuit board to the inside of the chassis pan. The transformers were bolted to the outside of one end of the chassis pan. 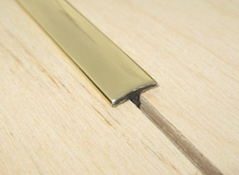 The chassis was secured to the sides of the cabinet with four machine screws. A ventilated aluminum cage bolted to the chassis over the preamp tubes (Figure 6). It shielded the tubes from electrical interference. A foam block in the inside lid of the cage applied downward pressure to the preamp tubes, keeping them firmly seated in their sockets. 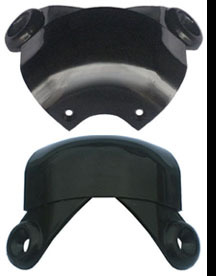 A spring loaded bracket bolted to the chassis surrounded the EL84 power tubes to keep them seated in their sockets. 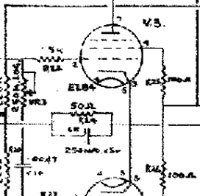 The original design for the JMI AC-30 power supply included a GZ-34 rectifier tube. The GZ-34 is a full wave rectifier tube that converts AC voltage from the high voltage secondary of the power transformer to pulsed DC. The output voltage of the GZ-34 rectifier tube had a tendency to "sag" when the amp was pushed toward the limit. These momentary drops in voltage caused a bit of audio compression to occur in the output of the AC-30. 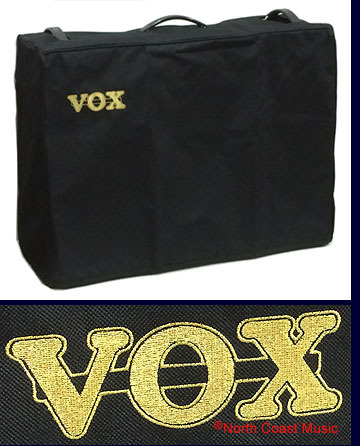 Many felt that the audio compression created by an overdriven AC-30 was an essential component of Vox tone. The original JMI power supply also included a 10 henry choke installed between two large 16 uf smoothing capacitors. Installing a choke between two filter capacitors created what is called a "capacitive pi filter" power supply circuit. 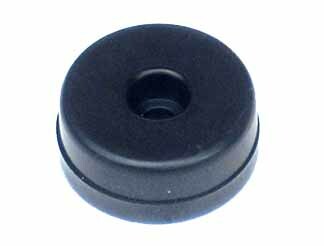 This design does a superior job of cleaning up the pulsed DC coming from the rectifier tube and reduce residual 60 hz hum in the audio output. It can also contribute to increased bass response. As was the case with all AC-30 models produced since 1974, neither the GZ-34 rectifier tube or the choke were included in the power supply of the AC-30TBR - Model 1007 due to cost savings. Four IN4007 silicon diodes replaced the GZ34 rectifier tube. The main smoothing caps were increased from 16uf to 33uf. The choke was replaced with a 22 ohm 11 watt resistor.